So the TMNT action figure bit in my last post has led to a hunt to see what back issues are going for (fairly cheap, if you don’t insist on 1st printings), if there were ever any trades released of the original Mirage issues (there were, and they are long out of print), and what the online comic book industry looks like these days. Everything in life is a potential rabbit hole to be lost in, for me. Comics are one of the rare things I tend to always buy in person, and that’s mostly thanks to Ralph Mathieu, progenitor of Alternate Reality Comics, a shop I’ve been visiting off and on since the mid ’90s. I’ll drop by once every few months, he recommends a book or two, and off I go. Ralph reads pretty much everything and has a great eye for quality, so his recommendations tend to be pretty much spot on. I just discovered that Ralph has a blog, an outlet where he can now share his comic book wisdom with the whole of the world. Go read through the archives, and find yourself a new gem or two. And somewhat related, taking better photos for etsy and ebay. Also somewhat related, I’m sold on the NECA release of action figures based on the original Mirage Studios version of the turtles. My dilemma is deciding whether I want the current release or if I should wait for the black & white series 2 coming later this year. 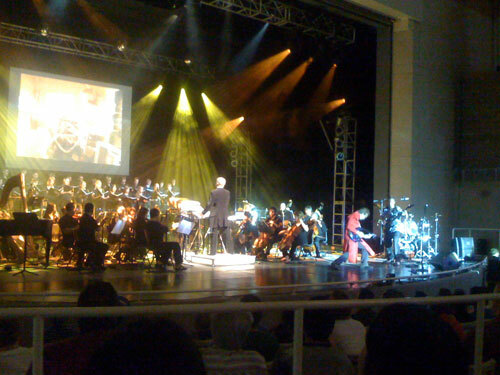 Not counting the brief performance at the Spike VGAs, Video Games Live finally makes its way to Las Vegas this weekend. 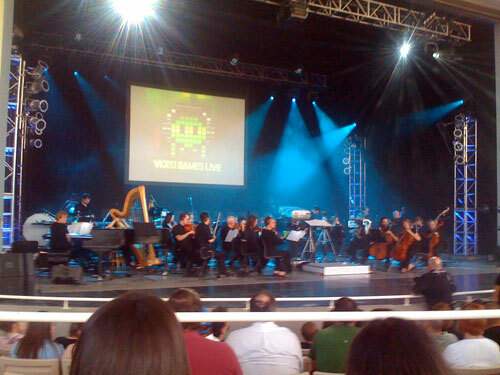 VGL is a great show, and someone we know well may be making a surprise guest appearance. Need tickets? Here’s a set on ebay going for cheap. Update: They’ve posted the news, get ready to see Hell March live! And finally, that didn’t take long. Wow, gone for one week and Itagaki left and is suing Tecmo, LucasArts canned half of its dev team, and somebody played Pac-Man with a Roomba. At least I was home in time for the Apple keynote. 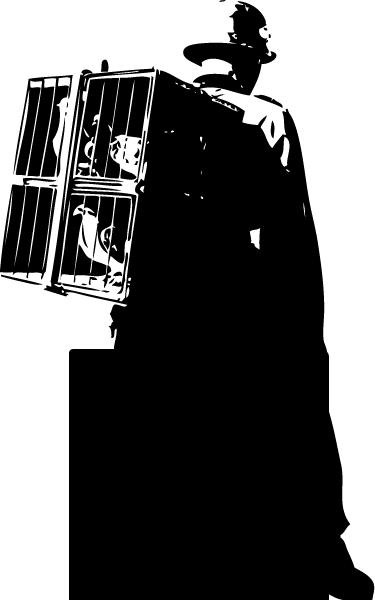 I’ve got something like 3700 RSS feed items to scan through and a ton of email to catch up on, but fresh content will return within the next couple days. Two interviews and an article or two on deck, along with the regular bits of this and that. 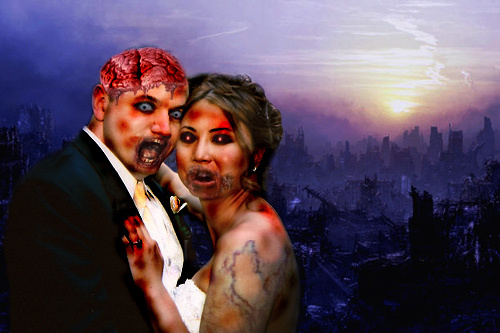 For now, here’s a zombie apocalypse reinterpretation of our wedding photo. I love my friends. Also, There Will Be Blood = good movie. Thankfully I’d completely missed out on the whole “I drink your milkshake!” phenomenon beforehand.